I cannot believe that it took me so long to get to it! I have always read around the internet how it is said to be good and all that, but I just never got to it, and it has been waiting for me to check it out for months. Finally, it was going to happen. It was time. Just wow. My mind was completely and utterly blown. I am pretty indifferent about Ryan Gosling, not a huge fan, don’t hate him, doesn’t bother me to see him in a film or anything. But this was the first time that I was actually swept away by him. He was just perfect in his role as Driver. He put so much into the character. The film had a brilliant cast, and Carey Mulligan was also just great to watch. The chemistry between her and Gosling was also extremely impressive and very believable. Their little shy romance was so beautiful to watch, and not overbearing and soppy. The kiss that they shared was simply one of the most breathtaking kisses I have ever seen on the screen. It was stunning. Bryan Cranston was entertaining, as always. 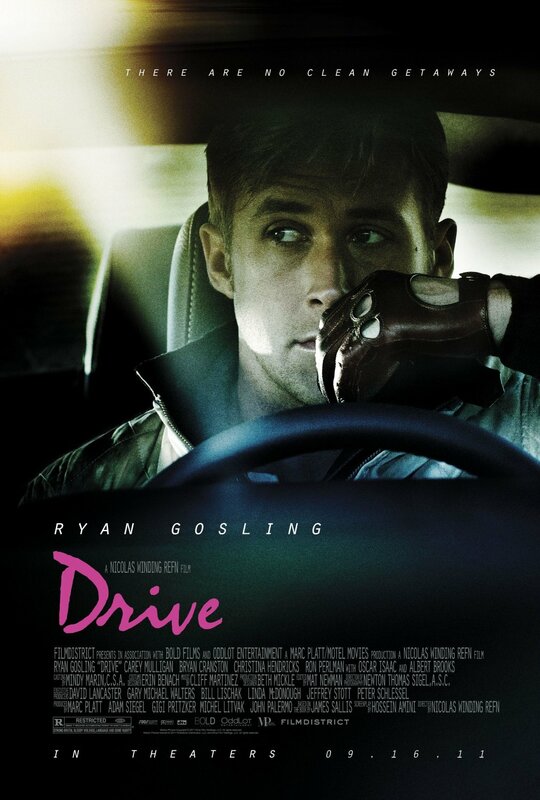 The concept for this film was fresh and new in a few ways, and it was executed incredibly well, so Nicolas Winding Refn seriously needs some props for that. The camera work was awesome, and the lighting and emphasis on certain things was beautiful to behold. I am more impressed than I can put into words. The violence was not excessive (as so many people complained about), though it definitely was present. There was not one moment where the film started lagging and losing its momentum – it maintained its greatness from the off and continued in the same streak. The film progresses smoothly and is wonderful to watch. The cast was absolutely awesome, they worked so well together. The soundtrack caught me by surprise, but worked perfectly for the film. Overall, this movie is totally worth the watch, I cannot recommend it highly enough!